Our costumer was having frequent back ups, we performed a camera inspection and the sewer line was compromised by root infiltration into the clay sewer line. Roots sense the water and grow towards the clay pipe. Once the roots get inside, they grow and expand which then cracks the clay pipe which can become an emergency situation quickly. 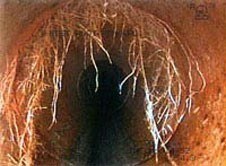 Once roots enter a sewer line, the only way to remove them is to remove the infiltration point. Which means replacing the vulnerable section of pipe. The next step after determining the entire sewer line needed to be replaced, we go through the most cost effective way to replace the existing line. 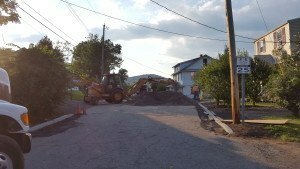 The front porch was on top of the existing sewer line along with the front sidewalk, telephone pole and shade tree at the curb. The only way was to burst the line and not to disrupt the landscape above ground. 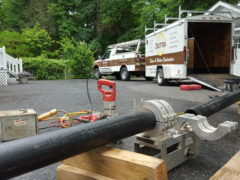 We located the sewer line where the sewer lateral connects to the city’s main. We dug down and installed OSHA certified trench shoring. Inside we had to jack hammer the floor open to being to insert the bursting unit. 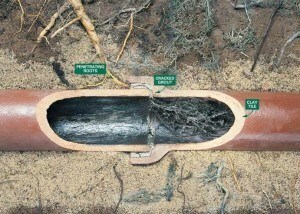 The pipe we install is approved for the sewer standard. 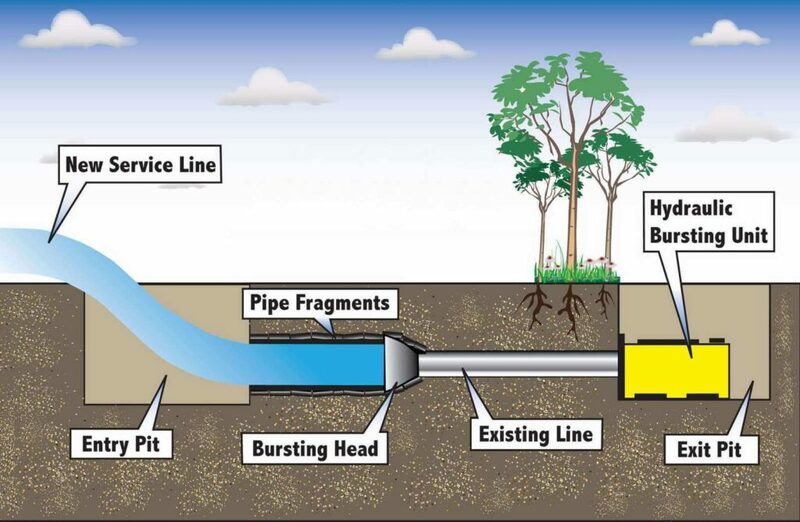 We provide the specifications to inspectors to prove the pipe is approved. 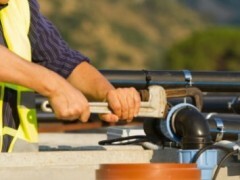 This is a new process and most plumbing inspector have not seen this method done before.